It’s starting to get dark early, which I hate 🙁 . 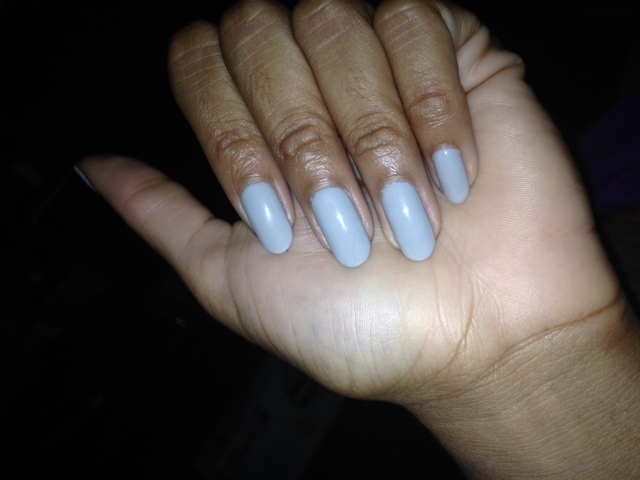 So in honor of the skies getting dark earlier, I decided on a gray color. 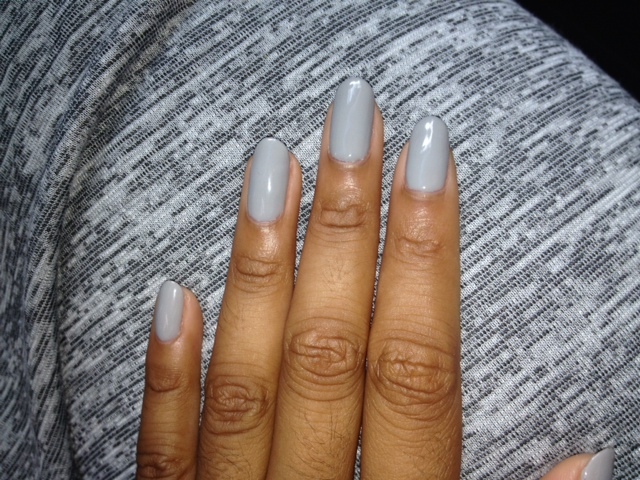 I LOVE gray in the Fall and especially in the winter! Most of my fall dresses and cardigans are some shade of grey or charcoal. I love the muted tone. 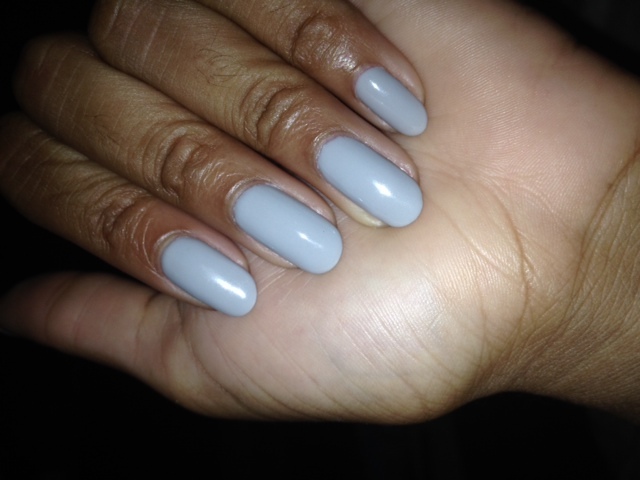 Check out my Gel II gel color in G54 Light Shadow! I totally matched my dress today and I didn’t even do that on purpose lol. See! I love gray!